I'm not sure if I'm registered in Comal or Guadalupe County; how can I confirm my voter registration status? I'm not registered; how can I register to vote? I moved to another address in Comal or Guadalupe County. How do I change my address? My name has changed. How do I change my name? What will I need in order to vote in person on Election Day or during early voting? Do I need to present my voter registration card to vote? I won't be in Comal or Guadalupe County on election day - how can I vote? Please note that this includes college students. I am over 65 or disabled - How can I vote by mail? You can confirm your registration status on the Texas Secretary of State website at Am I Registered? where you will select one of three methods for conducting your search. You can base your search on: 1. your Voter Unique Identifier (VUID), which appears on your voter registration certificate; 2. your Texas driver's license number, if you provided it when you applied for voter registration; or 3. your first and last name and date of birth. 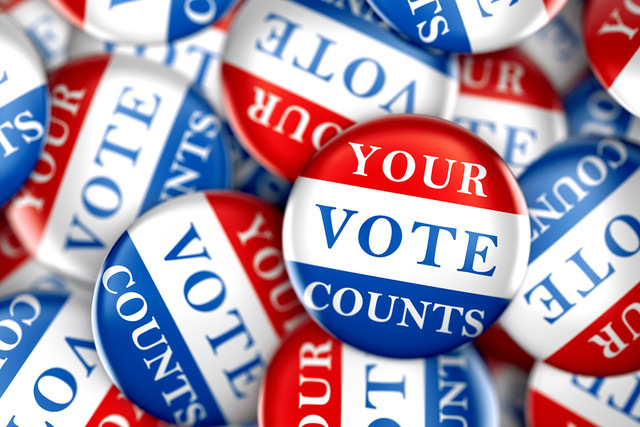 You can obtain a voter registration application from the Comal County Election Office (178 E. Mill Street, Suite 101 New Braunfels, Texas 78130) or the Guadalupe Elections Office (215 S. Milam Seguin, Texas 78155) weekdays between 8 and 5; public libraries and most post offices, You can also fill out a voter registration application online (which you then must then print, sign, and mail) or request a postage-paid application be mailed to you..
You must complete a voter registration form and MARK new address and send to the Comal County Election Office (178 E. Mill Street, Suite 101 New Braunfels, Texas 78130) or the Guadalupe Elections Office (215 S. Milam Seguin, Texas 78155) OR you may submit the change online. What will I need in order to vote in person on election day or during early voting. When a voter arrives at a polling location, the voter will be asked to present one of the seven (7) acceptable forms of photo ID (listed below). Election officials are required by current State law to determine whether the voter's name on the identification provided matches the name on the official list of registered voters ("OLRV"). After a voter presents their ID, the election worker will compare it to the OLRV. If the name on the ID matches the name on the list of registered voters, the voter will follow the regular procedures for voting. If the name does not match exactly but is "substantially similar" to the name on the OLRV, the voter will be permitted to vote as long as the voter signs a simple affidavit stating that the voter is the same person on the list of registered voters. OR, if you don't have one of the seven photo IDs listed above, you may sign a simple form and present one of the documents below. Addresses on ID and voter registration need not match. Election officials/poll workers may not question you about voter ID issues. You do not need your voter registration card to vote. Bringing your voter registration card with you to the polls may help the poll workers find you more quickly in the database. Comal: Mail to Early Voting Clerk, 178 E Mill St. Suite 101 New Braunfels, TX 78130. Download and send an Application for Ballot by Mail to the Early Voting Clerk. The application must be received 11 days before an election.